Robert Cousins has designed a single set that is used three ways for Siegfried. 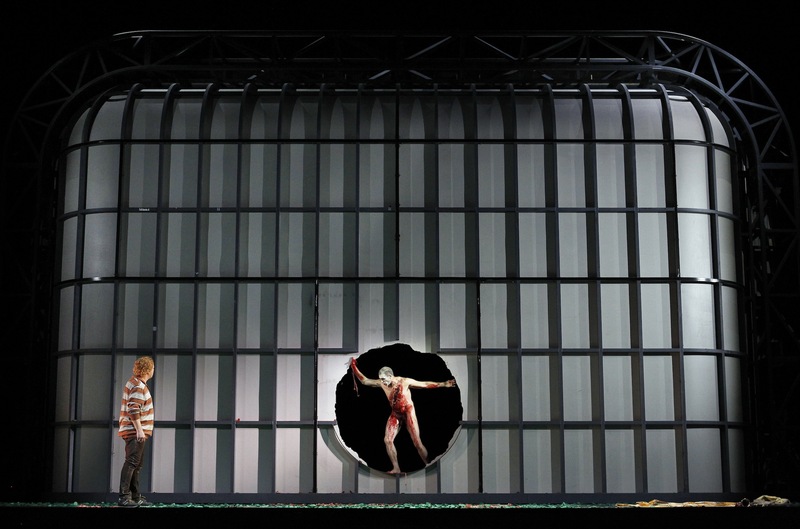 The opera begins in the “cave” where Mime has been bringing up Siegfried, child of Siegmund and Sieglinde from Die Walküre. It is a large white room in a nondescript location. Graceful white high walls contrast with dingy and realistic furnishings. There is a bar fridge, microwave, and bunk beds where Mime and Siegfried sleep. Adventurous spirit Siegfried has decorated his wall with vivid pictures of the bears and dragons he wants to fight. With Mime and Siegfried both in very ordinary modern day clothing, the lack of grandeur in their life is clearly telegraphed. 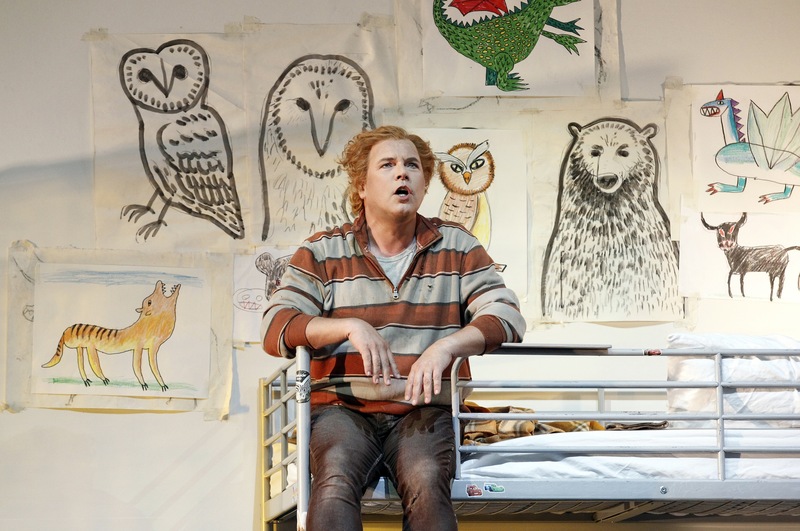 Siegfried is presented as an overgrown, restless youth, understandably petulant and dissatisfied. He dresses as a bear using a mask and his blanket. 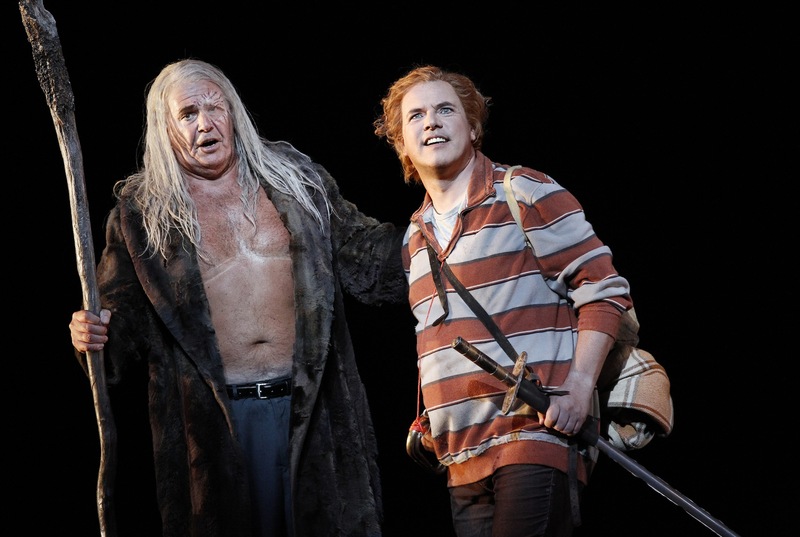 Wotan visits as the Wanderer and, along with recapping Das Rheingold, explains that the sword will be re-forged by someone who has not known fear. Fafner, the giant who is now a dragon, is portrayed as an actor, who is sitting at his dressing table mirror putting on monstrous white, black and red makeup. 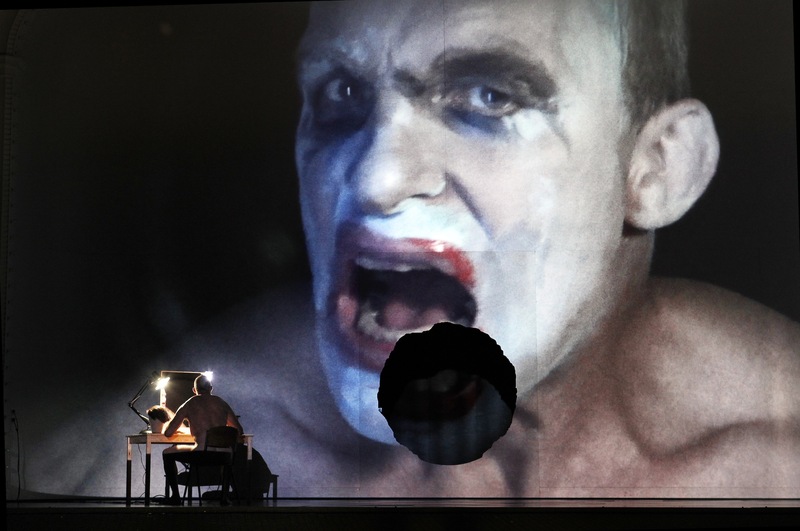 His face is shown to the audience via a massive projection on the set. Alberich, still lusting after the ring, guards the cave’s entrance, which is a ring-shaped hole in the back of a theatre. The Wanderer enters and warns of a hero to come. 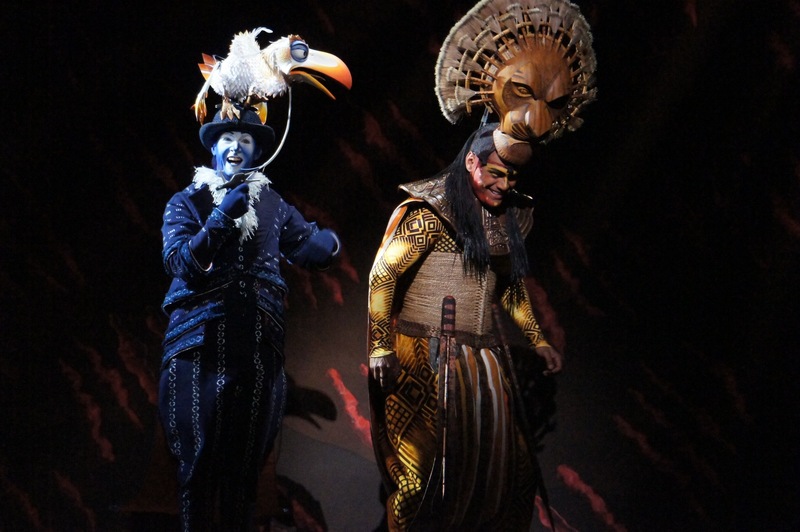 Siegfried finds the cave and befriends a playful “woodbird” but cannot understand her speech. Waking the dragon with his horn, he plunges Nothung into the darkness of the cave (to be greeted by what is perhaps the one questionable effect of the series – handfuls of red crepe paper pieces thrown into the air to represent the dragon’s blood). The dramatic stakes rise several notches, however, when the mortally wounded Fafner enters, completely naked and bleeding to death. 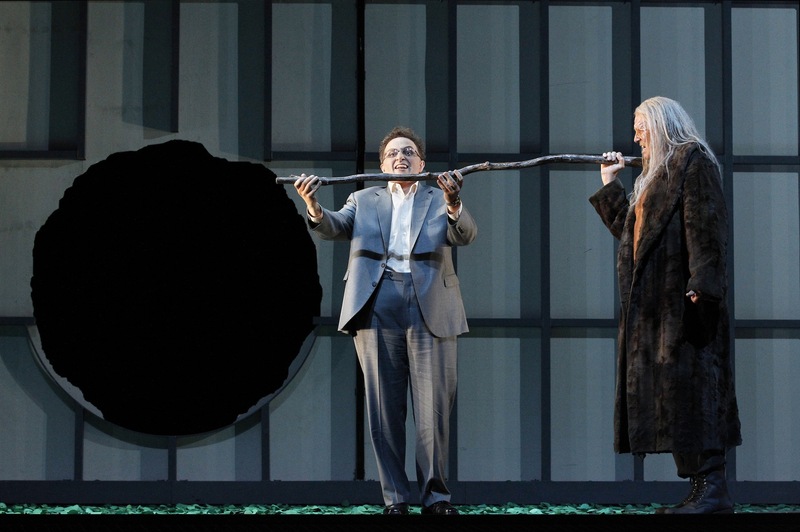 Now understanding the “woodbird”, Siegfried takes her advice to retrieve the ring and the Tarnhelm. 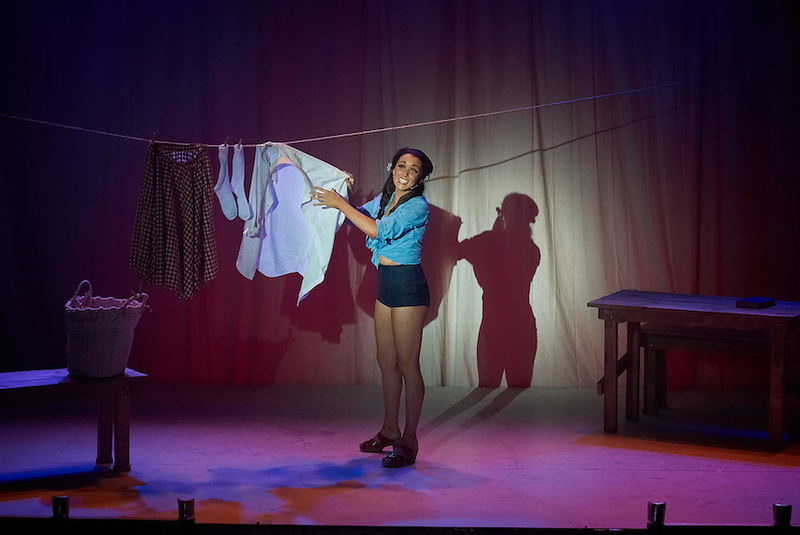 Mime’s elation at Siegfried’s success is undone when the newly wise Siegfried is suddenly able to hear the real meaning behind Mime’s pretense of kindness. Siegfried kills Mime and props up the bodies of Mime and Fafner outside the cave, dancing off joyfully with the woodbird, who has told the loveless Siegfried about a damsel in distress – the fair Brünnhilde. 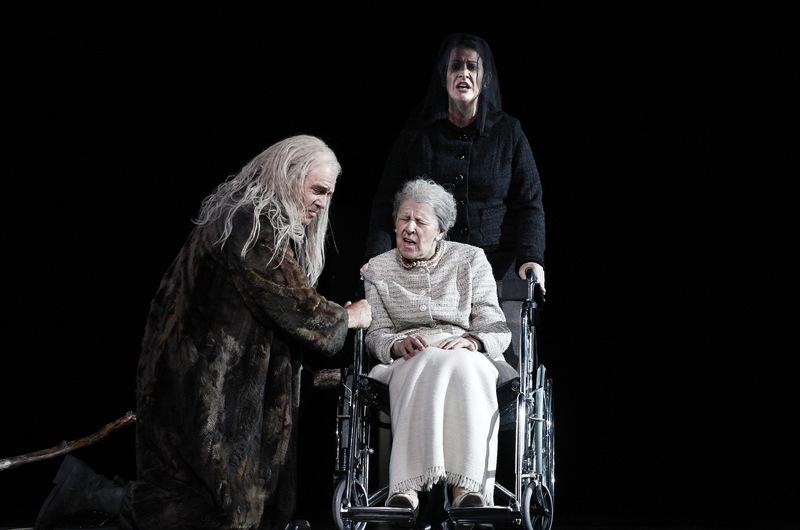 Wotan awakens the now-wheelchair bound Erda. In a clever touch, Deborah Humble sings the role while an elderly actress portrays the body of Erda. With the woodbird having led the way as far as she can, Siegfried seeks direction from Wotan, not realizing it is his grandfather. 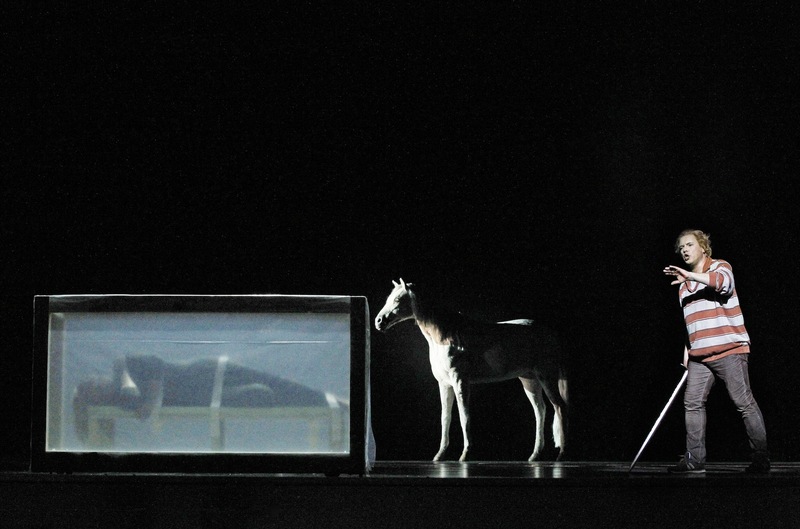 Siegfried finds Brünnhilde in a pine box draped in plastic, the same type seen in Das Rheingold containing preserved animals. Brünnhilde’s beloved horse is seen in the background. 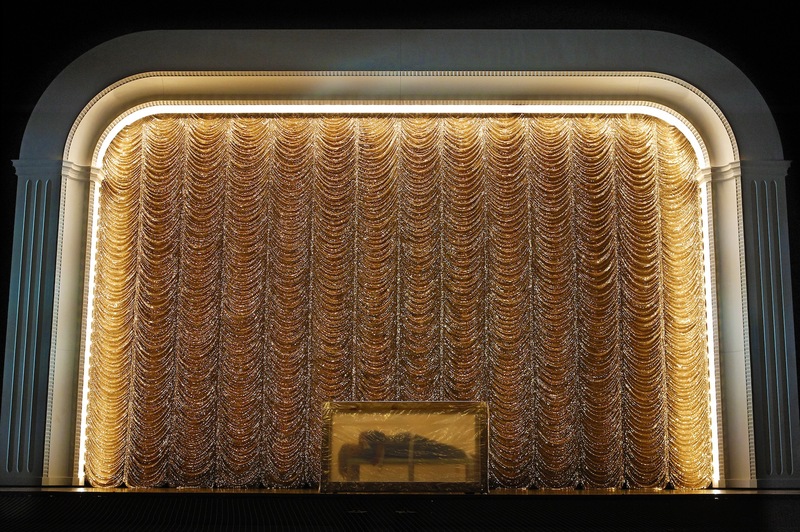 A lavish gold ruched curtain represents the fire around Brünnhilde. Realising that Brünnhilde is in fact a woman, Siegfried awakens her with a righteous kiss. Despite Brünnhilde’s disappointment at now being a mortal woman, the pair falls passionately and deeply in love. The Melbourne Ring Cycle is playing at State Theatre, Arts Centre Melbourne until 13 December 2013. 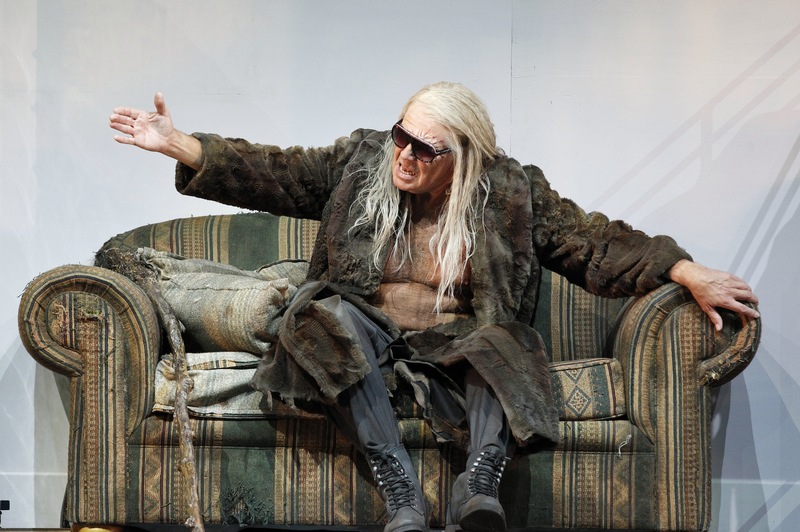 Siegfried plays 22 November, 2 December and 11 December 2013. Running time is six hours and ten minutes, including intervals of 75 minutes and 30 minutes. Details about final tickets can be found at the official Melbourne Ring Cycle website. 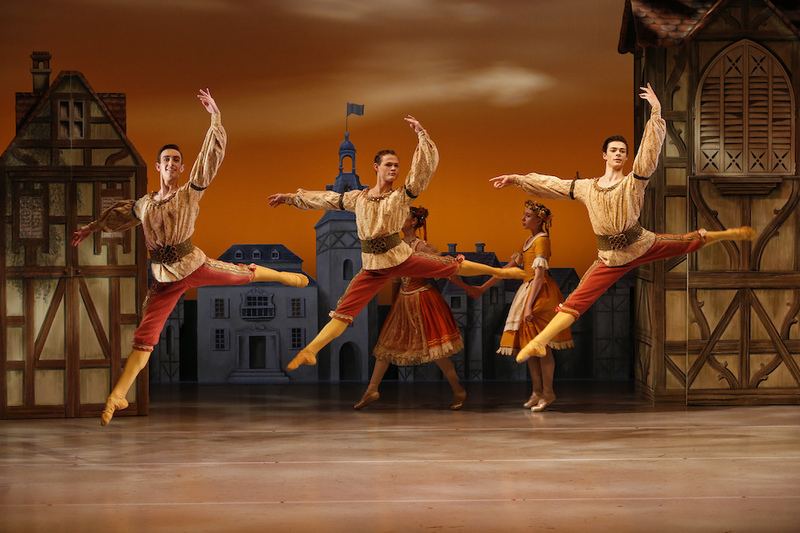 A large number of activities are occurring as part of The Melbourne Ring Festival, which runs concurrently with the opera cycle until 13 December 2013.